Vacit is an industry leader in the use of state of the art technology when providing our vacuum and blasting services. We custom-build our equipment in order to meet specific requirements for the services we provide. We are proud to be using the most capable, effective and adaptable vacuuming and blasting equipment available in Queensland and Northern New South Wales. We constantly refine the designs of our trucks and equipment to ensure our machinery stays at the top of the game. Our equipment combines abrasive blasting, powerful vacuuming, high pressure water blasting, bulk liquid waste, drain cleaning CCTV survey and electronic locations equipment to provide the most adaptable service available. Smaller than utes and allow for access into tight spaces, bt with all the power of a large vacuum excavator. These trucks are highly efficient and perfect for jobs which require a vehicle that can fit into smaller areas as well as awkward areas. These are the most powerful trucks available on the market. They have the ability to dig faster and can excavate from a distance of 300m and can do both wet and dry, including powders and heavy aggregates. Speciailised Drain Cleaning and Vacuum Units for cleaning Large drains, pipes and Culverts. High flow water with a range of different cutting heads combined with high powered vacuum for recovery. 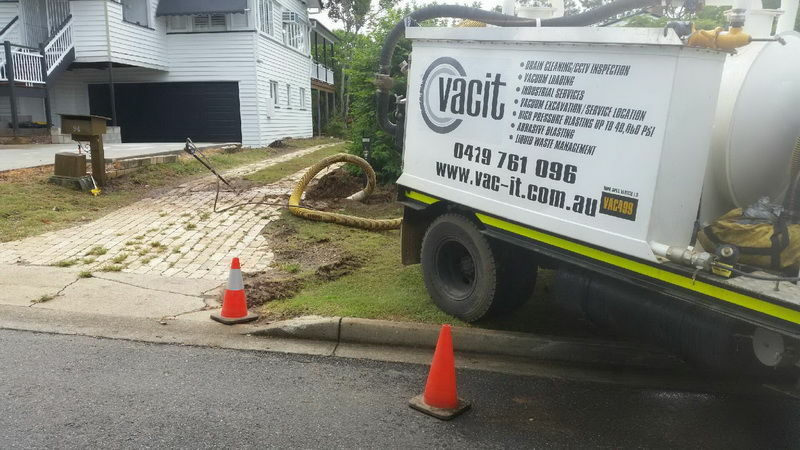 We use jet rodding technology that creates a powerful clearance of blocked drains, and we are available to provide our service 24/7 in case of emergencies. Regardless of whether you drains are blocked or not, it is still important to have them cleaned as to diminish the threat of them becoming blocked in the future. If you have any further enquiries about the hi-tech machinery and trucks used by Vacit, or have a question regarding which piece of machinery is right for your blasting or vacuum project, feel free to get in contact with our friendly team of staff. We are always happy to have a chat about the equipment used at Vacit and will happy consult with you in order to find the right machinery for your project. Give us a call on 0439 761 096 or fill out an enquiry form on our contact page and we will get back to you with all the information you require.